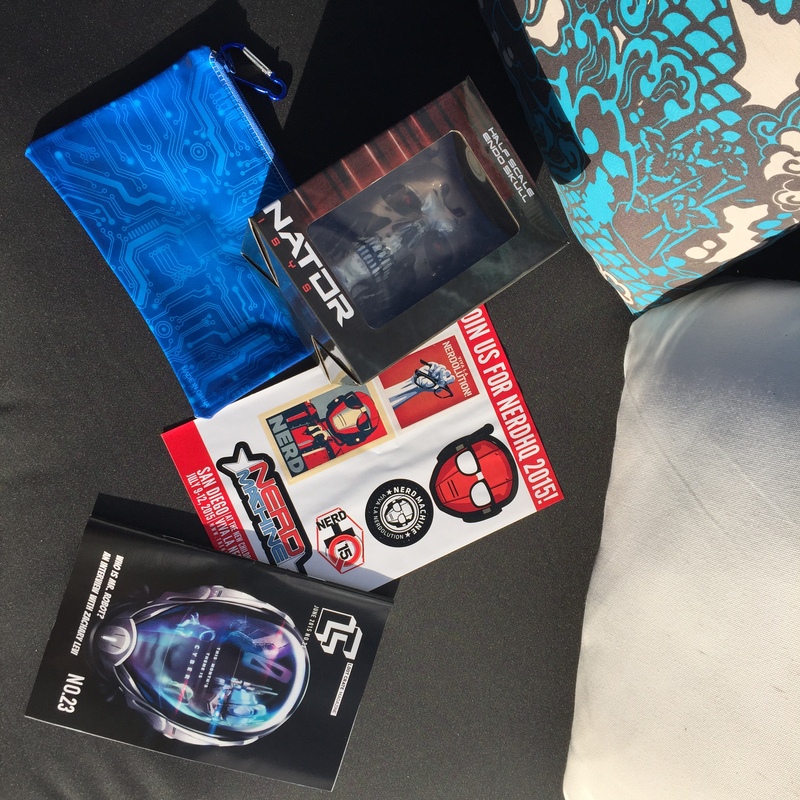 When my brother found out I had a blog, he was super excited to tell me about this subscription box. 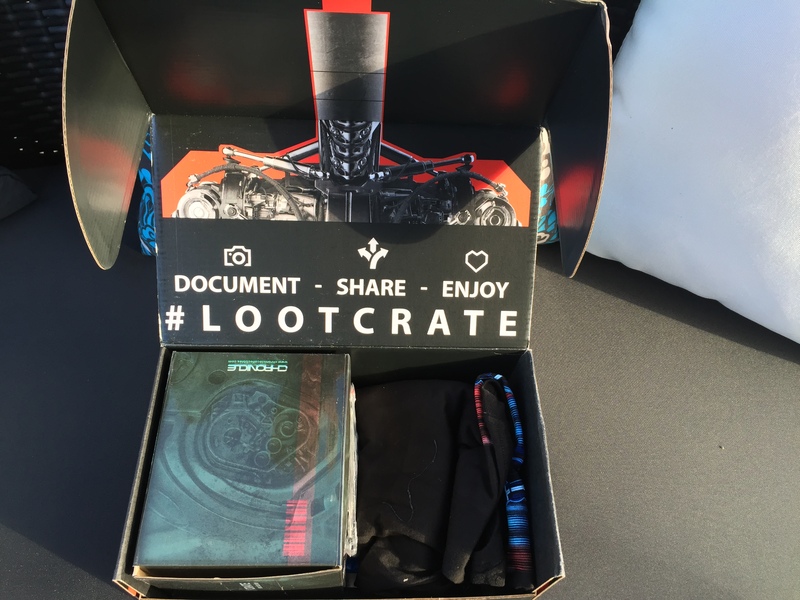 Loot Crate is a monthly box for geeks and gamers. 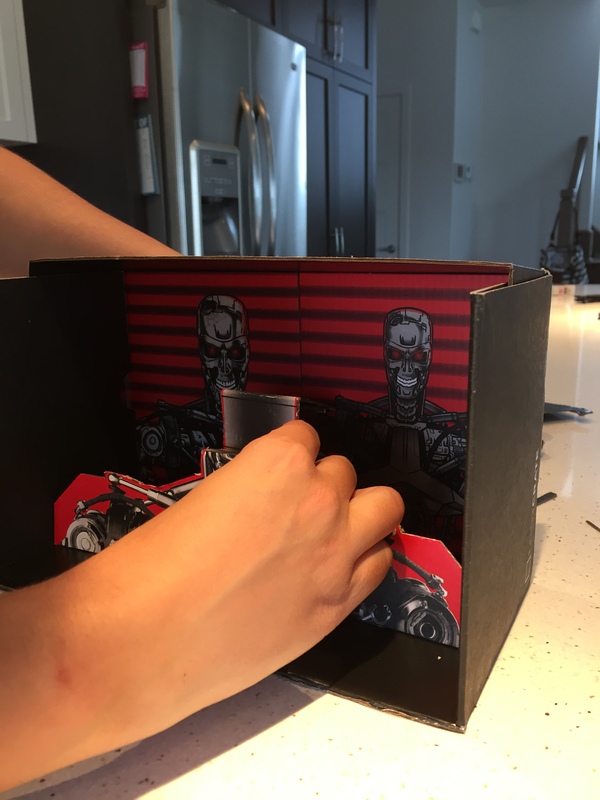 As I could tell from their previous boxes shown on their website, each box has a theme. I am not a super geek so I was hoping that I was familiar with this month theme. When I went to the mail box to pick up by crate, I admit that I was disappointed because I thought the box would be twice as big. However, once I opened the box and I kept pulling stuff out of it, I got excited! My fiancé was super excited for some of the items in there. I will let him and my brother decide who has what! This box is from the United States, with the exchange rate it cost me $ 37.83 CAD. Here is a close up of each item. When I subscribed to this box, they ask what size shirt you wear. I asked medium for woman, but it’s made a little too small for me. 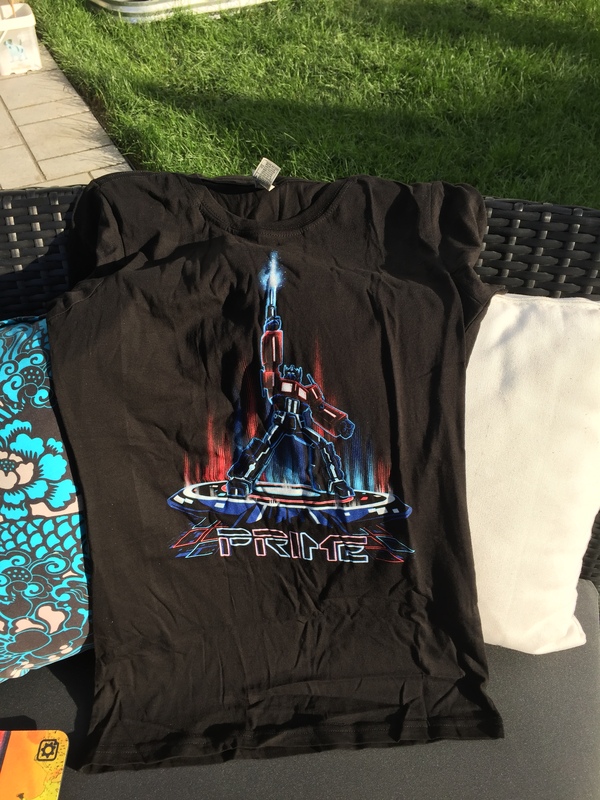 I think the t-shirt is cool and I will wear it, if it fits one day, or give it to a geek friend of mine! I was impressed by the quality and the size of this mouse pad. Love this. The logo is cool. I don’t think I will sow or iron it on any clothing, but I think it could be use as decoration. I don’t know if you get a pin every month, but that could be pretty cool, you could start a collection. I find that this pin is well made, and it represents the month’s theme. This is a pretty cool keychain for Terminator fans. The brain chip is made out of metal and is heavy. The details are also nice, you can see and feel the quality of the keychain. This made me laugh so hard. 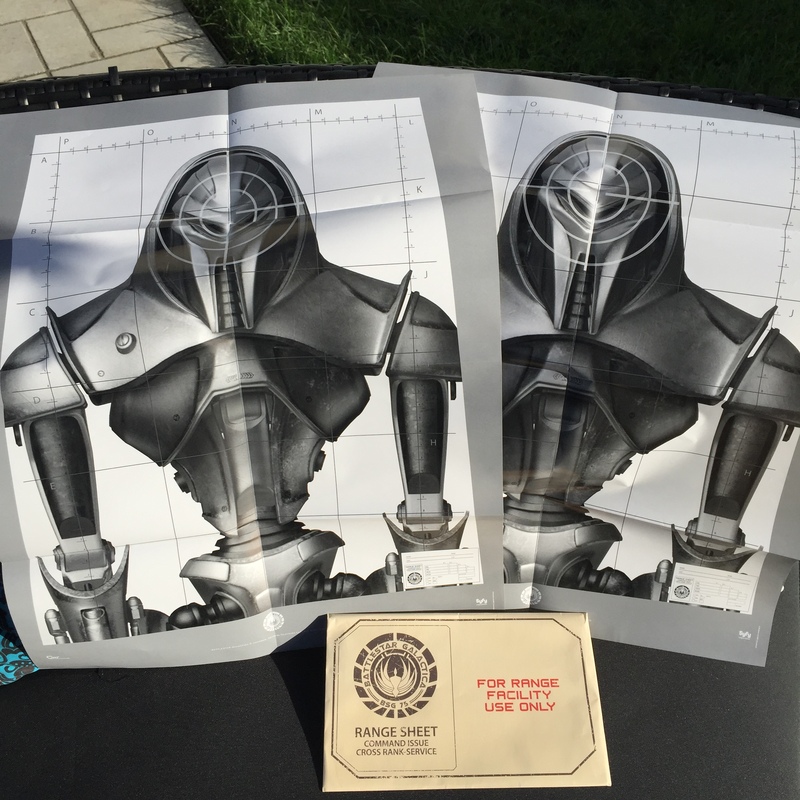 I received two shooting range practice sheets. 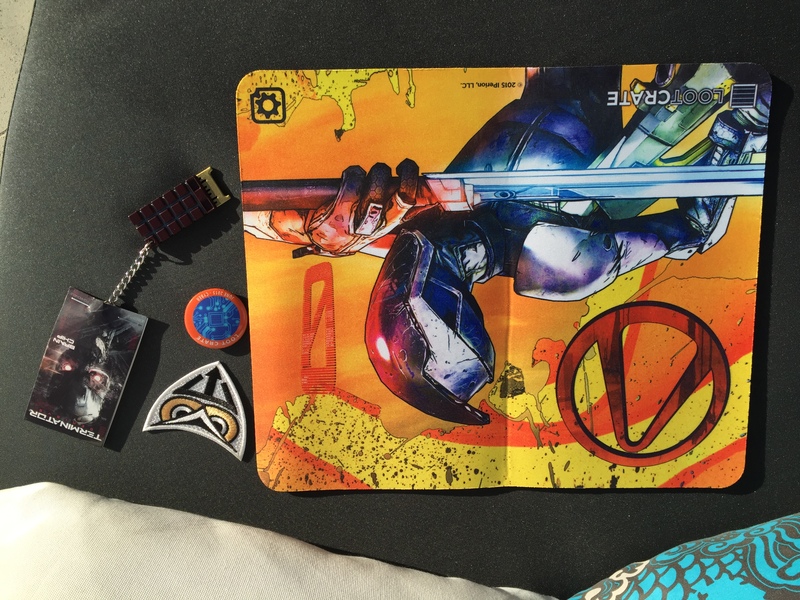 You can use Nerf Blaster, as suggested in the little booklet, or simply use it as a cool poster. They came in a little envelope. I was happily surprised to find this. Instead of an info card, they sent a little booklet that explains you every item that you received. You also have some interviews, a word puzzle, how some of the items we received were manufactured, and more. This pouch is a decent size. It is made out of plastic, I am a little skeptical about how sturdy it is made. I know I will use it to put some pens and little gadgets I always carry in my purse. 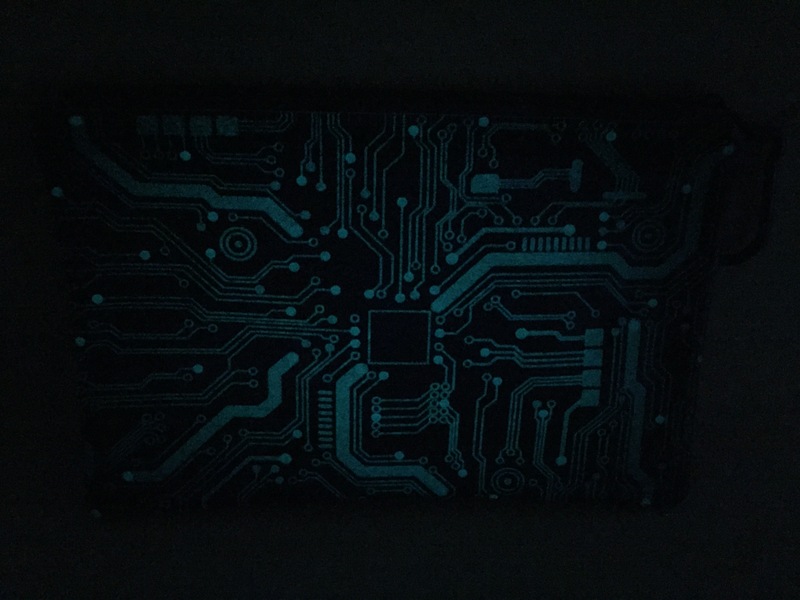 Let’s see if the glow-in-the-dark works. This is the pièce de résistance. 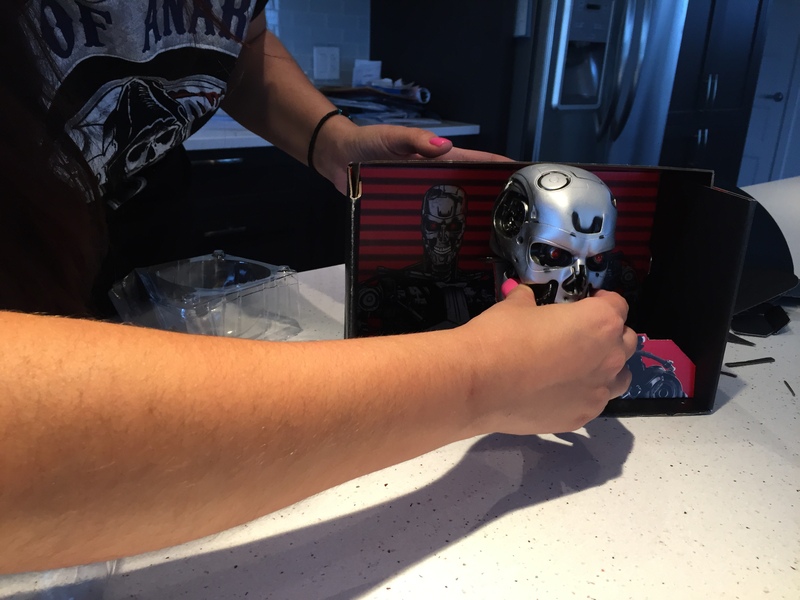 This skull is pretty awesome, it has great detailing, and it’s very light. 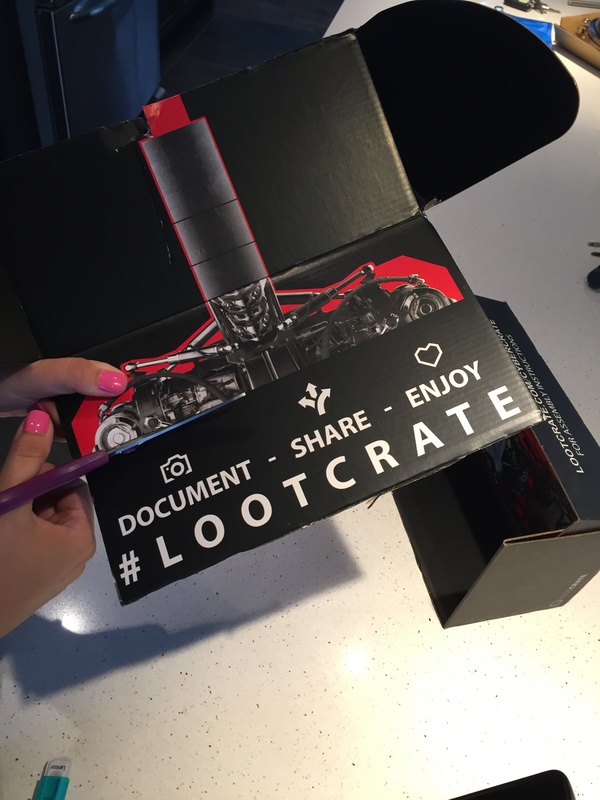 As I was writing this post, I had the box next to me and I realized that this was written in the box: Visit Lootcrate.com/cybercrate for assembly instructions. Wait, what? I went on the website and you could build a ”stand” for the skull. 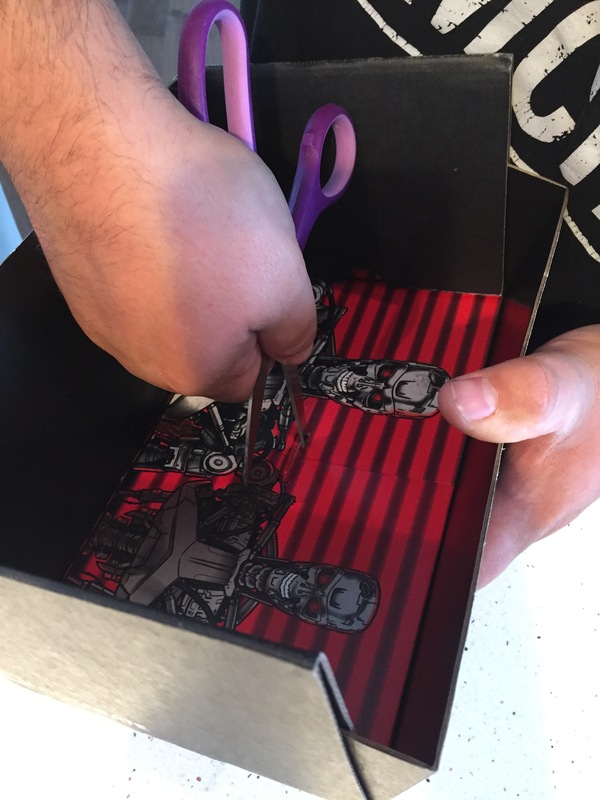 Remember to have good scissors because you have to cut through cardboard. 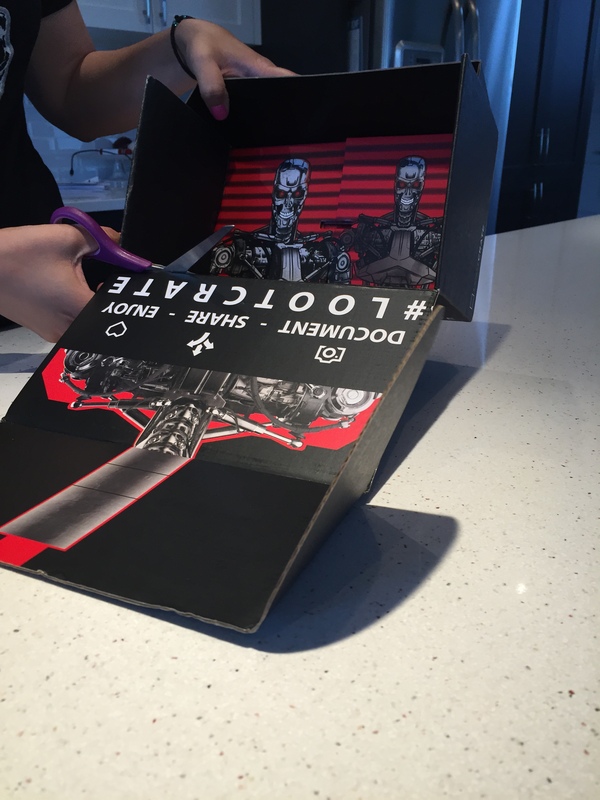 The stand is pretty cool, and I love that Loot Crate found a way to recycle the box. It is a bit flimsy, but fun to do. My fiancé really wants to keep it, so Loot Crate, you did a good job! 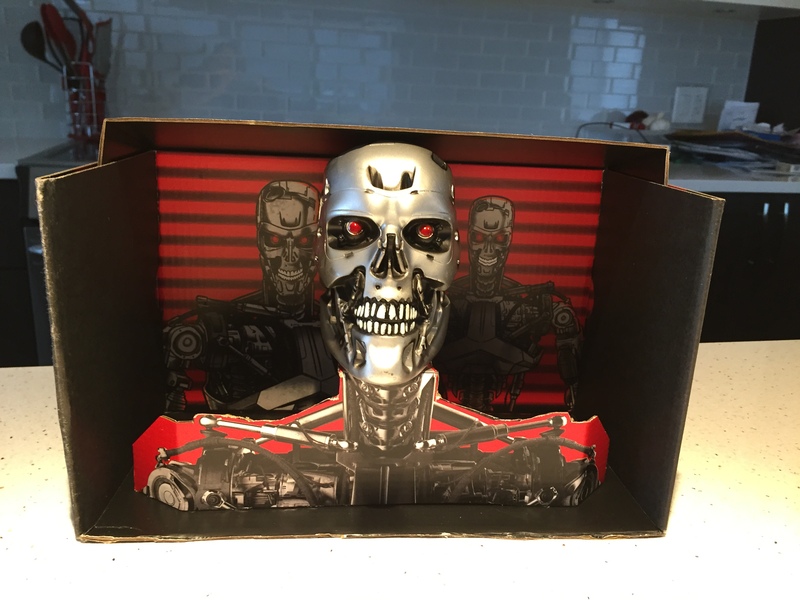 Overall thoughts: I think this box is pretty cool. It feeds your geek and gamer side just enough. I was very happy with the booklet that came with information about th products, and more. I find it a little bit pricey for Canadians, but if you are into all this, it is a cool subscription to have. 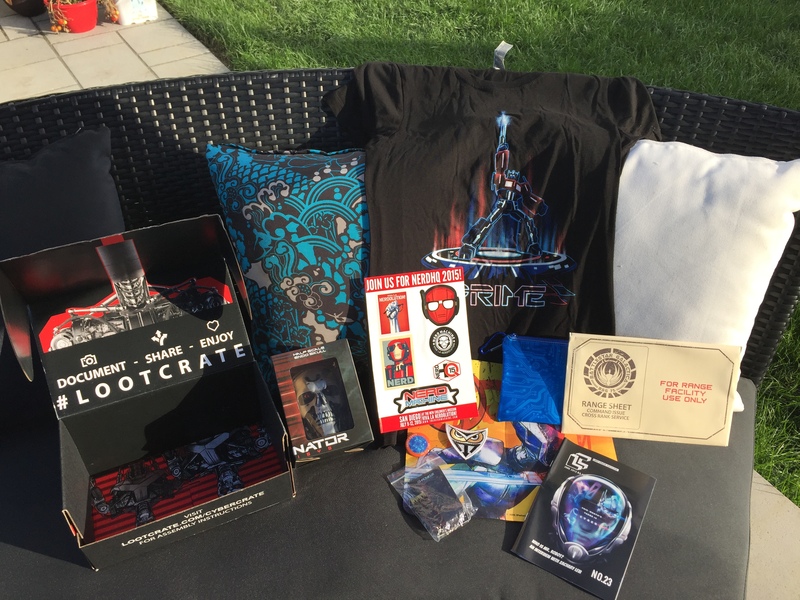 I will definitely purchase a Loot Crate again, as a gift, for the geeks in my life.